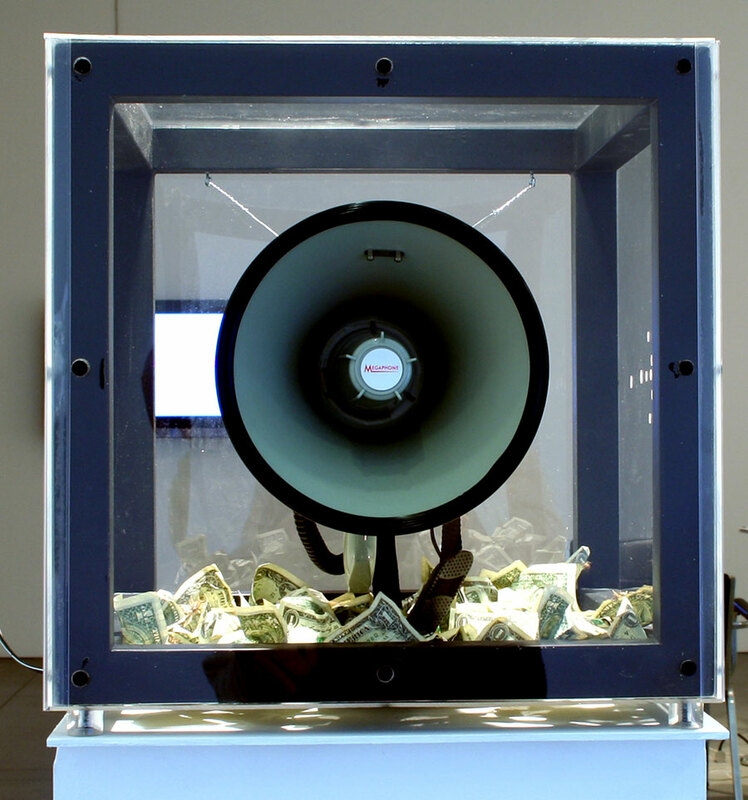 Viaticus Par Eximo Sermo (money is free speech) is an installation that demonstrates how legal rulings that regard campaign contributions as free speech effectively means speech amplification for those with access to more money. 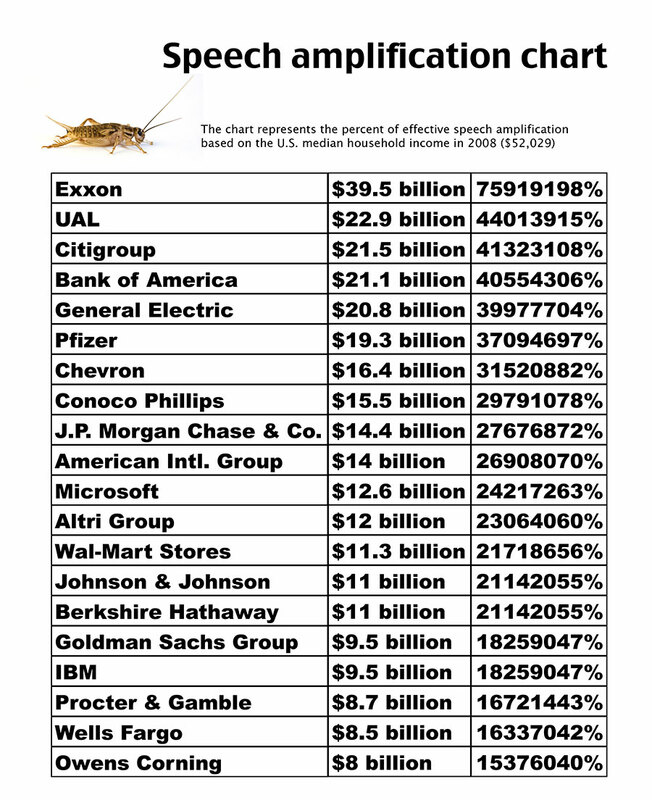 This is exacerbated when corporations that may have annual profits greater the GDP of entire nations are given the same constitutional right. 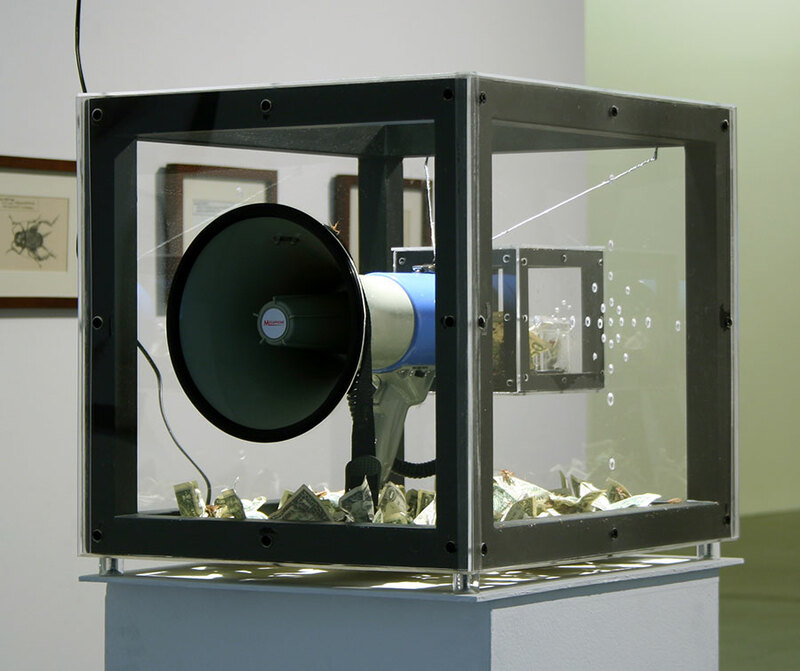 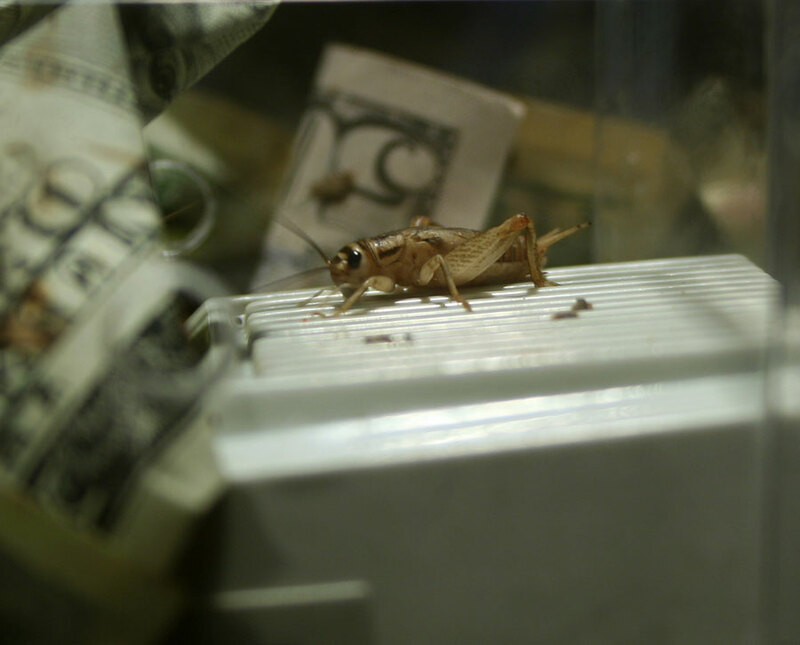 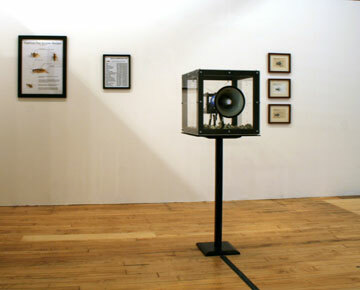 In the installation, crickets are encased in a series of steel and Plexiglas boxes with a megaphone and paper money for food. 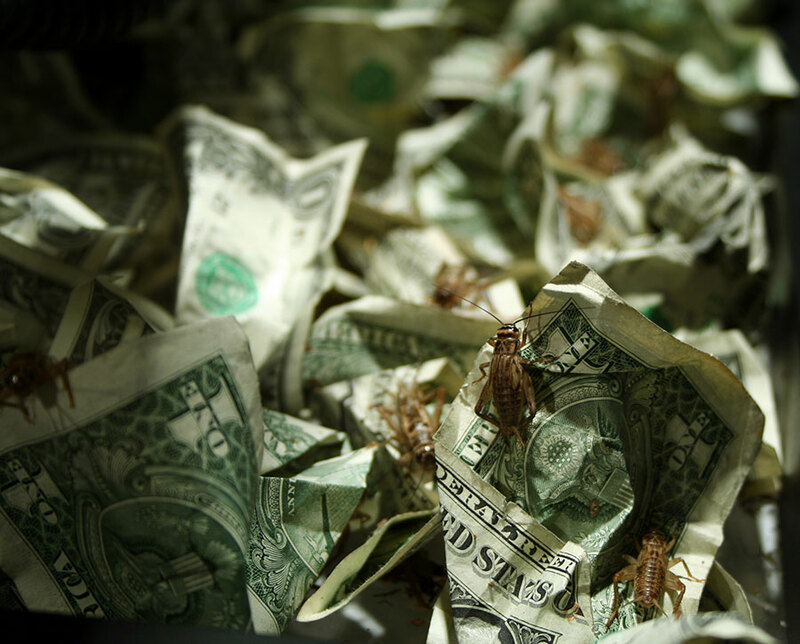 Crickets eating $50 and $100 bills have access to the microphone and their chirps will be amplified—drowning out other sounds in the space. 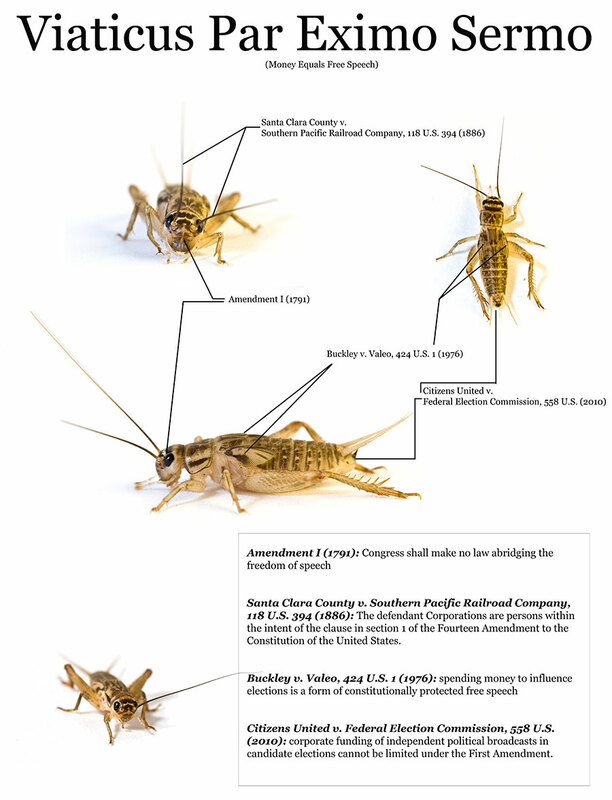 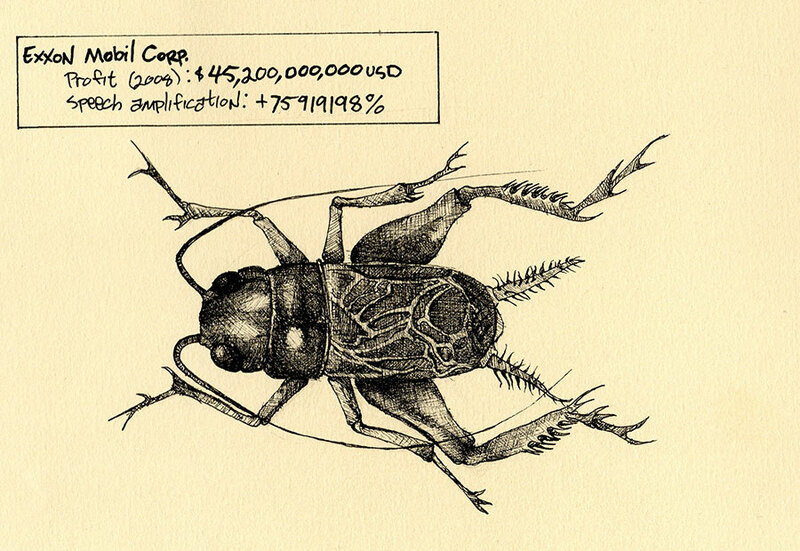 On the wall, charts, diagrams, and drawings convey the history of money being legally considered free speech and illustrate how loud a cricket would be if it had the wealth of a major corporation. 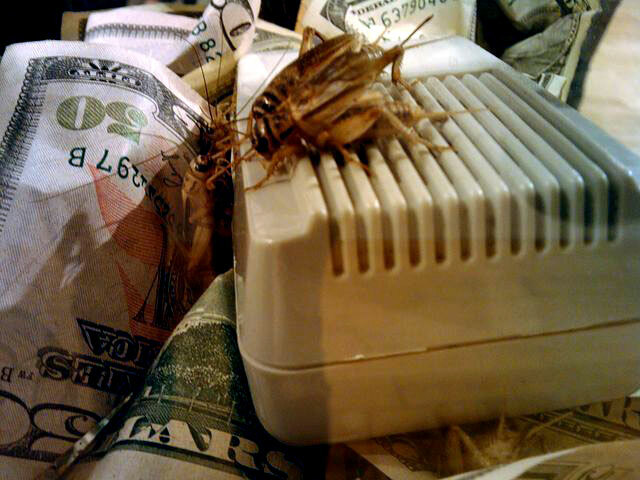 Related to cockroaches, crickets can eat almost anything in the folklore of some South American cultures, the sound of crickets chirping is said to mean money or wealth is on its way.